Since the first exhibition of LAGI in 2009, which introduced the concept of artwork powering cities, and the early educational content we began to create that year in preparation for the 2010 launch of our first (what was to become biennial) open call ideas competition, the vision of the land art generator initiative has been to provide a glimpse onto a world powered by renewable energy that is also rich with visual beauty and wonder—where the very machines that can bring our climate back into balance have cultural relevance in their formal expression and add wonder to our joyfully sustainable lives. With the help of thousands of creative individuals working across disciplines and submitting proposals to our 2010, 2012, 2014, and soon 2016 design competitions, the LAGI project has planted a seed that is starting to really grow. Over the past few years we have expanded our educational content and outreach, first with our Field Guide to Renewable Energy Technologies, workshops for all ages, and our Art+Energy Flash Cards, and continuing this past year with the introduction of our Youth Design Prize and our Art+Energy Camp. What is really exciting to us now is that all of these projects are coming together as a comprehensive program for cities around the world. 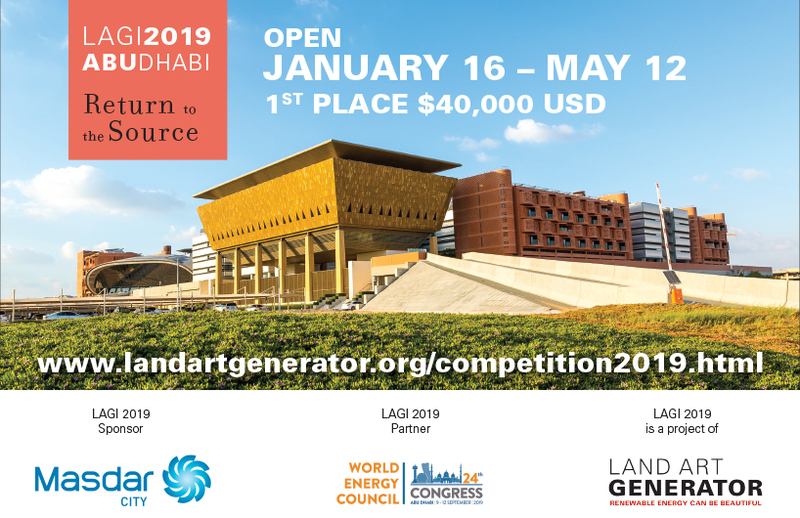 We’re now in a position where we are able to call back participating teams in previous LAGI design competitions and bring them in on site-specific commissions and invited design competitions. From the start of the project the mission has been to construct as many of the the land art generator ideas as possible and make the beauty of our renewable future a reality today. The recent award of the J.M.K. 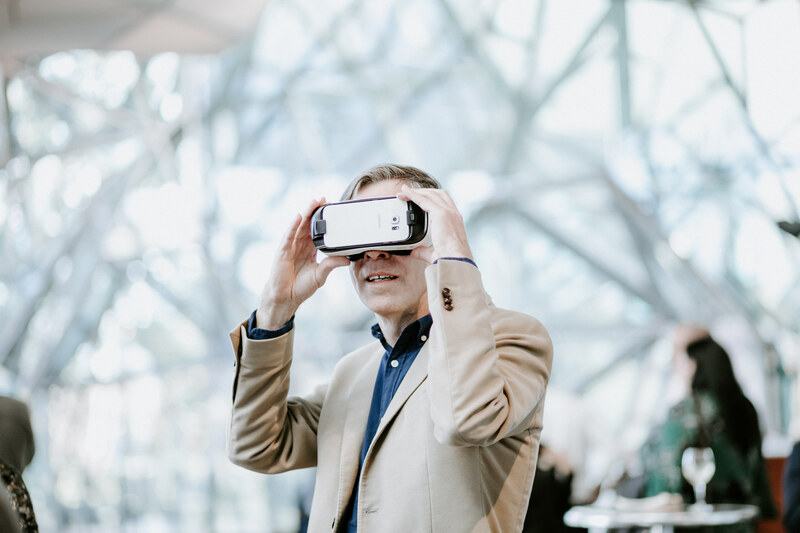 Innovation Prize comes to LAGI at the perfect time, when we are starting to implement designs and consult with cities and communities on site-specific solutions to energy opportunities. We believe that there is no better tool for creating a tipping point to strong climate action and 100% renewable energy infrastructure than to present a positive vision to the public of what that could look like and the residual benefits that such policies would bring to cities. The opportunity to bring new energy technologies into city planning and creative placemaking projects is at the heart of LAGI. As a part of the design and implementation of constructed works, LAGI educational programming provides the perfect platform for extensive community engagement and participatory design processes, leading to infrastructures that benefit the greatest number of people. LAGI Glasgow is proving to be the perfect example of this ideal delivery model. In early 2013, we received an email from Chris Fremantle, producer, researcher, and founder of ecoartscotland. 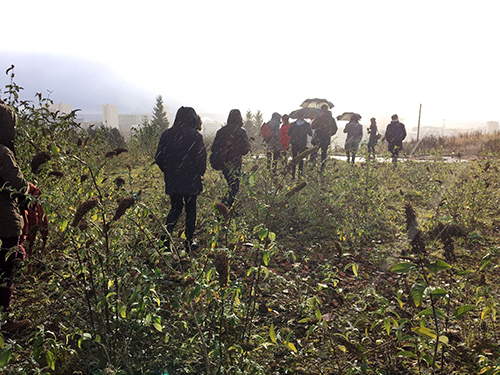 Following on conversations he had as a part of Creative Carbon Scotland’s Green Teas(e) — part of the European Green Arts Lab Alliance project, Chris wanted to know what it would take to bring LAGI to Scotland in 2015. 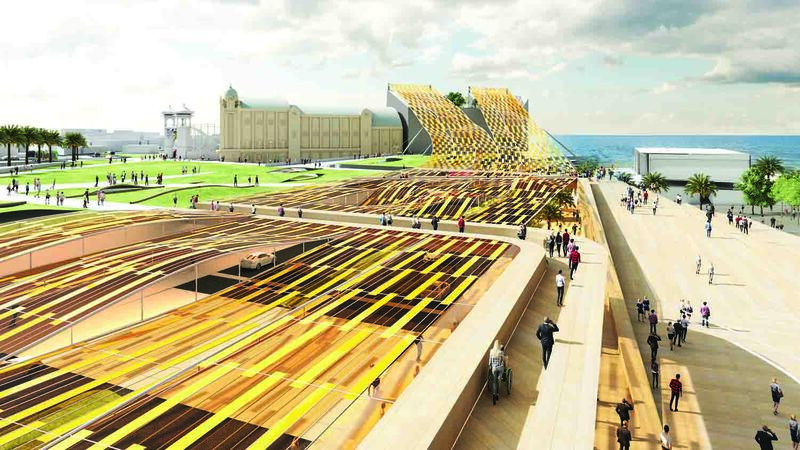 From the start he was interested in customizing the planning of LAGI Glasgow to reflect the complexities of the debate around renewables and their relationship to key environments in Scotland. The success of renewable energy implementation there since the early 2000’s has figured heavily into land use and conservation discussions and has been extremely relevant to the independence debate. We soon learned that Glasgow was celebrating its year of Green in 2015, and that there were a number of regeneration projects in the early stages of planning into which the creative integration of renewable energy infrastructure would be a welcome addition. By collaborating with a regeneration consortium on the design brief, LAGI Glasgow could help to inform the planning strategy itself. 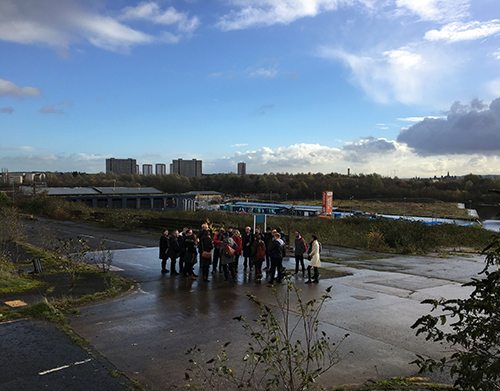 With the support of the Glasgow City Council and Scottish Canals, the regeneration site at Port Dundas was identified as the preferred focus area for LAGI Glasgow. 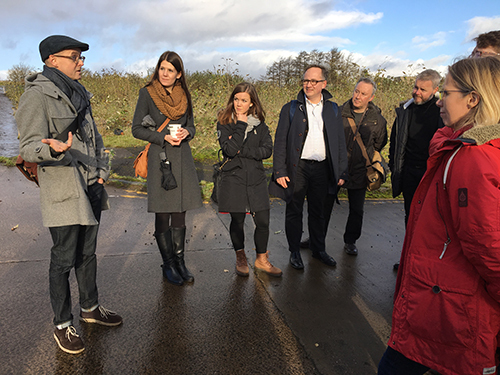 Our project partners immediately saw the benefit of using cultural approach to the renewable energy plan to inform the regeneration planning process. With a mandate to deliver a very pragmatic and constructable concept design outcome, we decided on a new competition model that could best leverage local and international expertise, while laying a strong groundwork for implementation. 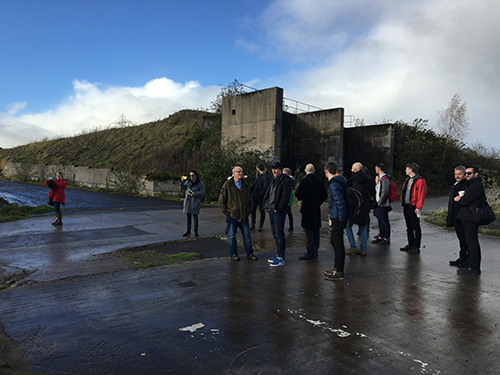 The LAGI Glasgow project is undertaking research and development to better determine the role of innovative site specific renewable energy infrastructure in 21st century city planning. Community engagement will inform the concept development and seek to address issues of social justice and energy democracy. Primary and secondary school students around Glasgow are participating in the LAGI Youth Design Prize and we’d like to hold an Art+Energy Camp along with a youth ambassador program for 2016 that will provide young Glaswegians the opportunity to learn from the design team directly. Integration of these programs into the design process for Port Dundas is a key component of the overall strategy. 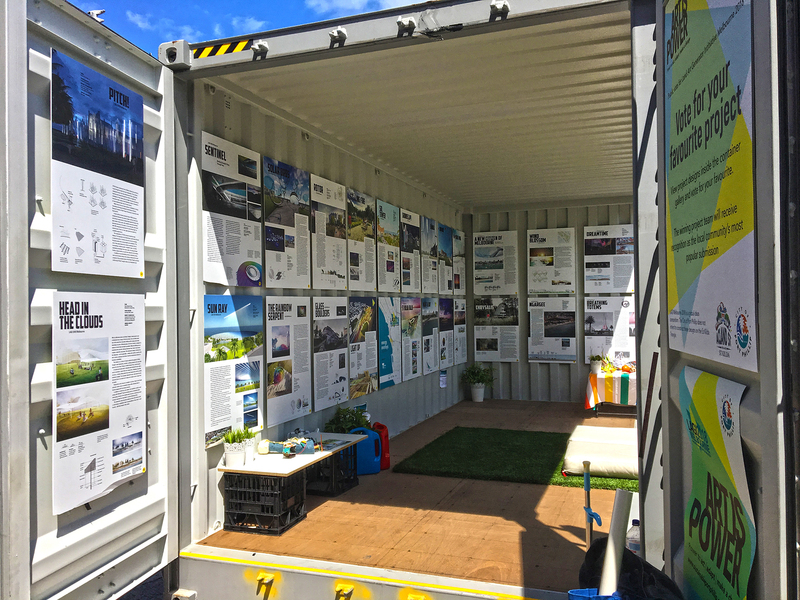 Together the LAGI Glasgow project partners hope to set an example for cities around the world to follow, combining creative energy planning and STE(A)M education. New interdisciplinary teams have been formed, comprising Glasgow-based and overseas expertise. The overseas expertise with extensive knowledge of mainstream and emerging renewables technologies have been drawn from previous teams whose proposals have been shortlisted in LAGI design competitions over the past three cycles (2010 United Arab Emirates, 2012 New York City, and 2014 Copenhagen). Glasgow-based expertise brings an understanding of recent innovative and creative practice, local knowledge and capacity. We’re thrilled by the reception of the LAGI idea in Scotland and by the vision conveyed to us by Glaswegians of their future city. Representatives such as Bailie Elizabeth Cameron are providing us with new perspectives on the relevance of the project and inspiring us with their passion and commitment to sustainable development models that put people at heart of every decision. 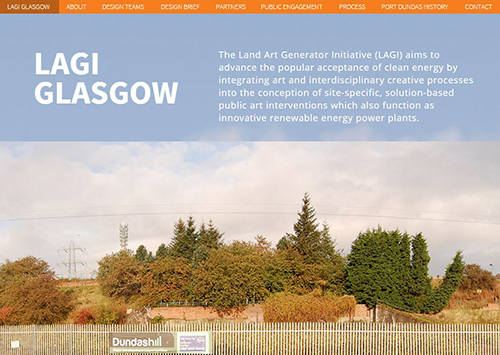 People make Glasgow, and Glasgow is re-making the land art generator initiative.